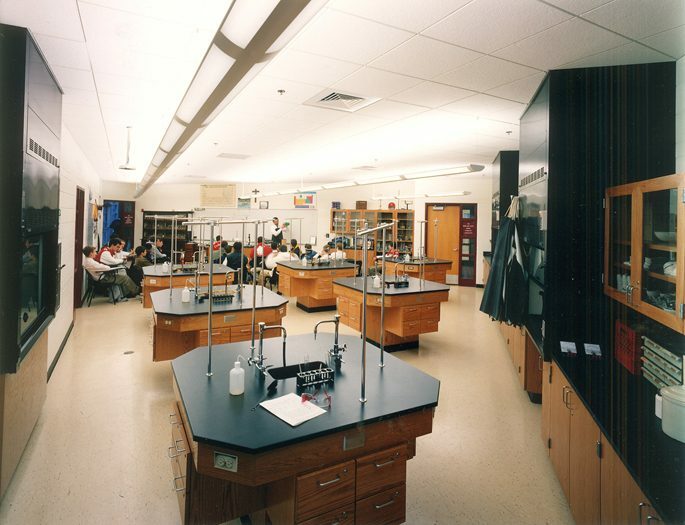 This science center features lecture and laboratory facilities to serve St. Mary’s Preparatory School and St. Mary’s College for the teaching of chemistry, biology, physics, environmental science and computer technology. Acting as a gateway to the campus on Seminary Road, the building features red molded brick that closely matches the color and texture of the 1890s brick used throughout campus. Accent bands of gray brick were also incorporated to blend with the adjacent 1960s alumni library. 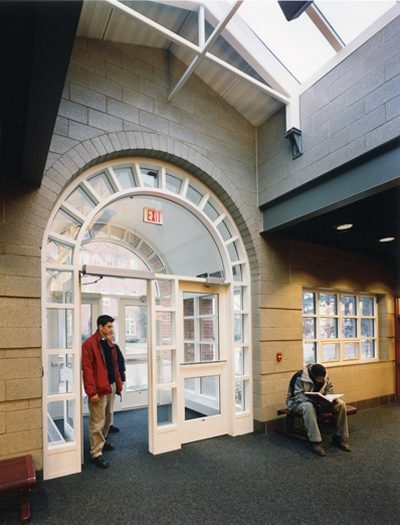 Traditional details on the exterior such as a brick arch at the main entry and a herringbone pattern above a secondary entrance are intended to evoke the character of original 1858 campus buildings. 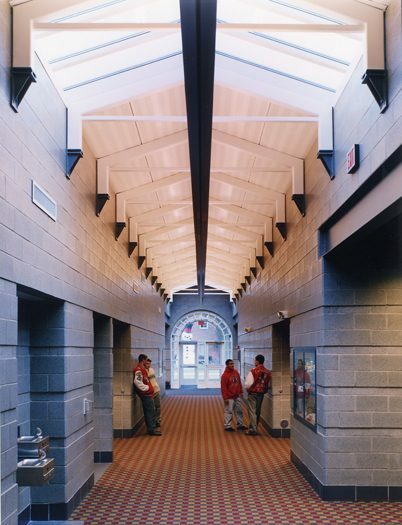 The interior corridors are contemporary, utilizing ground face masonry units detailed with beveled corners and an honest expression of the working structure through exposing steel beam lintels at the larger masonry openings. 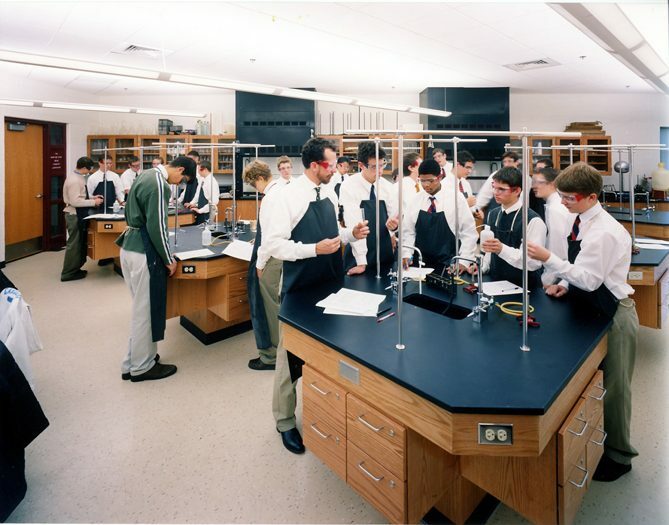 This science center blends seamlessly with the surrounding campus.